The U.S. has regained its standing as the world's most competitive country, according to the latest rankings from Swiss business school IMD. 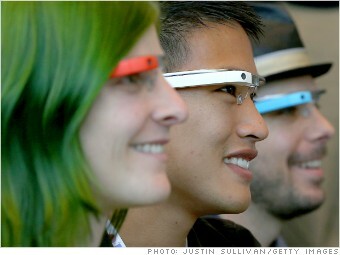 Attendees wear Google Glass at the Google I/O developer conference in San Francisco. The technology sector has helped the U.S. flourish. The United States has regained top billing in the IMD world competitiveness rankings, after losing out in 2012 to Hong Kong. This year's strong performance was attributed to a rebounding financial sector, a wave of innovation and an improved corporate outlook. According to business executives surveyed by IMD, doing business in America is an attractive proposition due to the dynamism of the economy, access to a skilled workforce, easy financing and a strong research and development culture. There are, however, plenty of areas for improvement. Executives panned the U.S. tax code, and "competency of government" ranked very low on a list of factors that are important to business. Methodology: The IMD World Competitiveness Yearbook uses economic data and survey results to construct a ranking of 60 world economies. Countries are evaluated in four broad categories: economic performance, government efficiency, business efficiency and infrastructure.